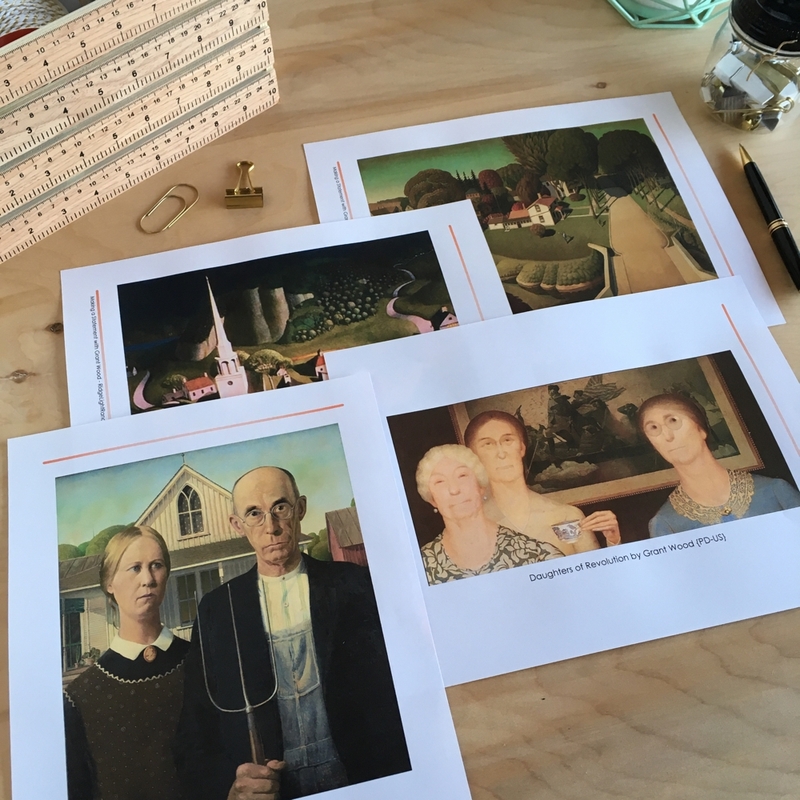 Grant Wood created this painting in 1930 and people had a wide variety of reactions to it. Many art critics saw it as a satire of simple-minded farmers. When the people of Iowa realized they were being made fun of, they protested. However, Wood responded by explaining that he meant it to be a tribute to the hard working Americans who were helping pull the country out of the Great Depression. Grant Wood also was trying to represent his area of the country. He was one of the leaders of the American Regionalism movement in which artists sought to depict life in their region of the country and elevate the rural life. (Andrew Wyeth was also an American Regionalist.) Some of the other American Regionalists, like Thomas Hart Benton, went further and depicted urban America as the source of America’s depression-era problems. 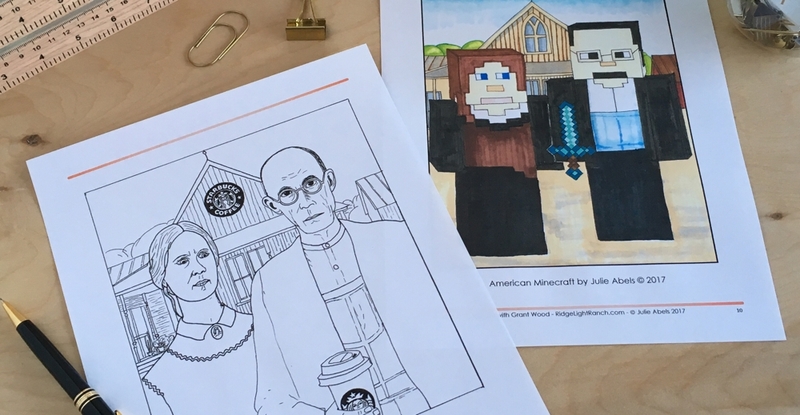 American Gothic has been re-created countless times. Sometimes the result is a political statement or a satire of something. However, more often the re-creations simply seems to include something the artist likes. 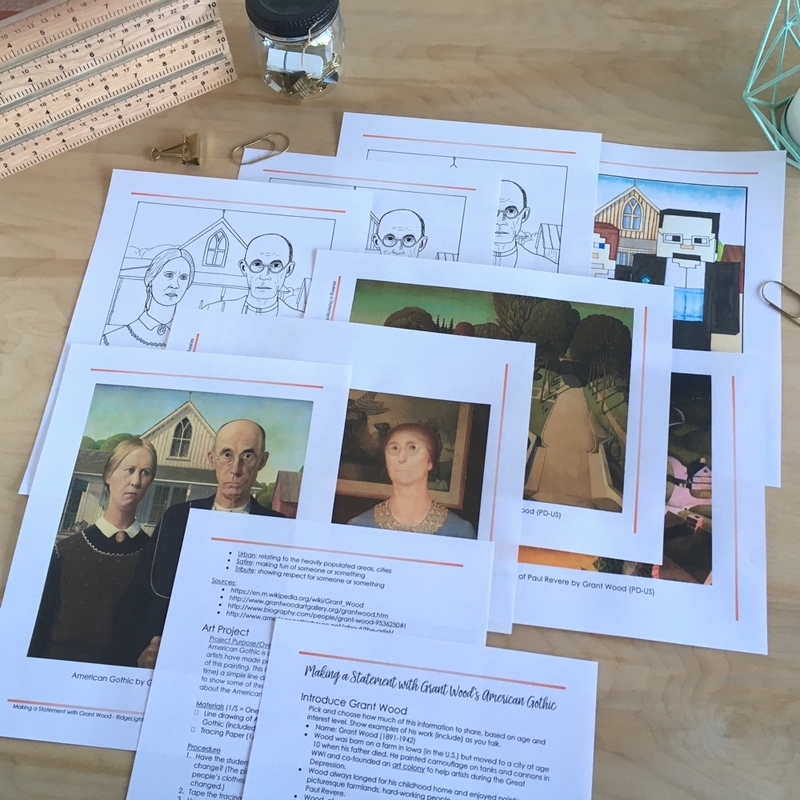 I had a lot of fun brainstorming as I was making my own altered versions of American Gothic. Did you see my two samples above? I love how the lady is looking enviously at the man’s Starbuck’s cup… I crack myself up. My sons really liked the Minecraft one too, but they thought I should have made the house in the background all blocky too. I told them they could do that for their re-creation! Since we only have 30 minutes to do this project, I’m giving students a simple line drawing version of American Gothic. After they decide what components of the original they want to alter, they have the option of tracing the parts they will NOT alter. This should help speed up the process! You can see what our art projects for the first six weeks of last year (CC, cycle 2) looked like here.